Chocolate sundae "dirt" powder ice cream topping proves that not all dessert ingredients sound as great as they taste. This "dirt" chocolate powder topping, however, adds a fun twist to a variety of popular desserts. Similar in texture to graham cracker pie shell mixes, this topping can also be adapted to form your own chocolate shell. Thrill your younger guests with an exciting sundae made with this "dirt" powder and gummy worms. 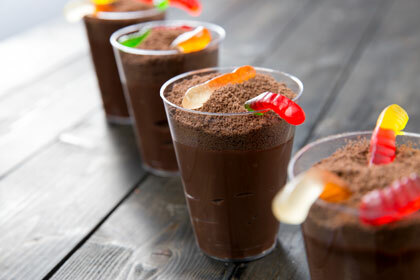 Though the idea of eating "worms and dirt" doesn't sound appealing, it will actually taste like a delicious mixture of creamy ice cream, light chocolate powder, and sweet gummy candy. If your menu isn't that adventurous, you can always add this chocolate powder to chocolate ice cream for a sundae worthy of all chocolate lovers. More than an ice cream topping, you can also use this chocolate powder for a decorative dusting on ice cream cakes and pies. Mix it into parfaits or blend it into rich chocolate sauces. Since it's already prepared, the chocolate sundae "dirt" powder ice cream topping helps cut down on kitchen prep time. It's much easier and less expensive than using your food processor! 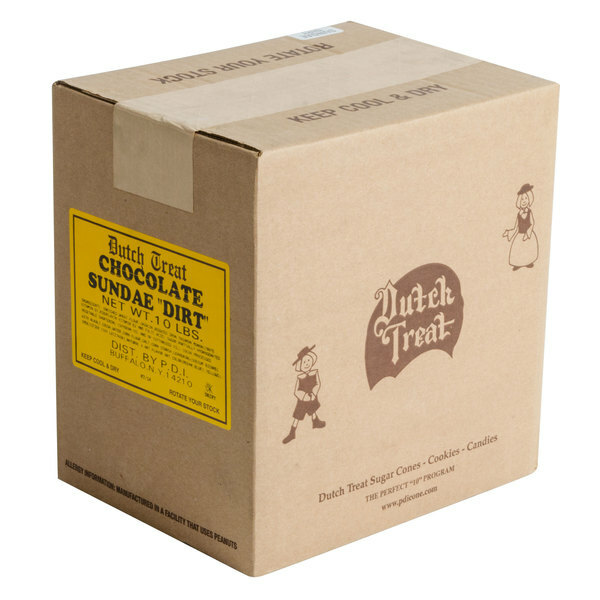 Overall User Rating: Dutch Treat Chocolate Sundae "Dirt" Powder Ice Cream Topping - 10 lb. The "dirt" powder is basically your finely processed Oreos. They are great to dust on top of your desserts or even on top of your cakes and cupcakes! Love using this dirt on some of our cupcakes to add an exciting touch. The flavor is delicious but not so overpowering that you don't want to mix it with another flavor. High quality cookie crumbles. It's the perfect cookie crumbs without the cream. We use these on our chocolate dirt Oreo sometimes we even put a gummy worm with it. omfg this is so good, it's so much easier to buy this then to chopped up Oreo and all. only if I had known sooner. Very popular in all of the ice cream shops that I manage. I buy boxes of these all the time now. We love the good taste these bring. 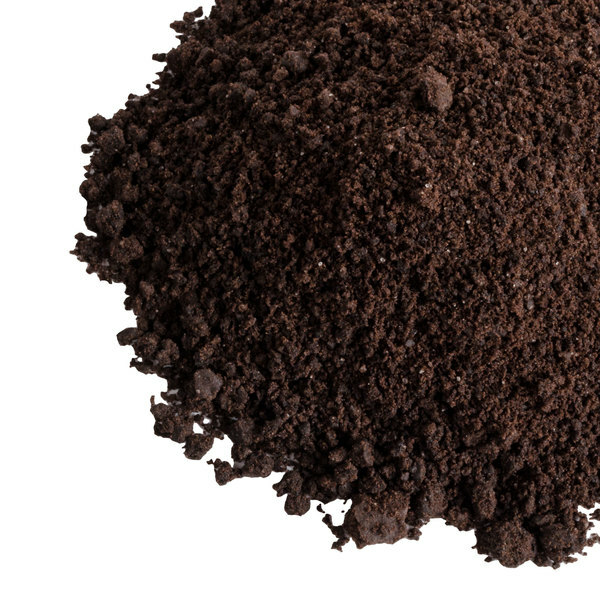 The Dutch Treat chocolate sundae dirt powder is finely ground and great for our ice cream bar. A great way to kick up frozen yogurt. Our customers love it, great to decorate desserts, and tastes just like ground up cookies, some people eat the sundae powder straight. Amazing taste and quality! 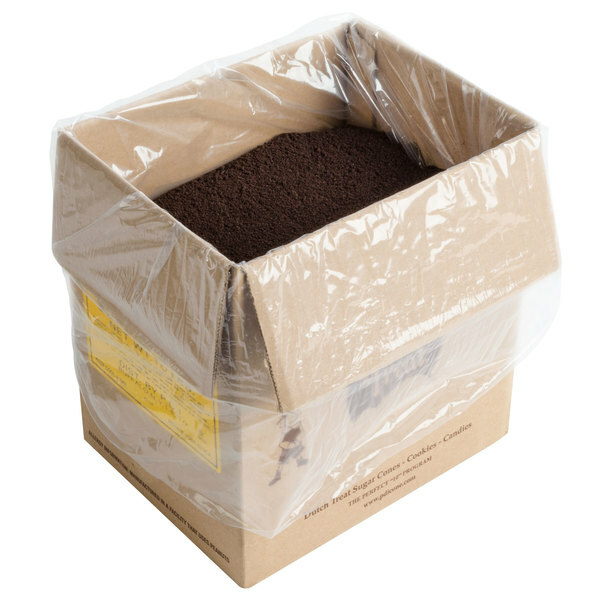 A wonderful bulk case of chocolate sundae powder. The chocolate powder makes the perfect crust for our chocolate pies and tastes great. The "dirt" also makes a nice garnishment to our chocolate milkshakes. 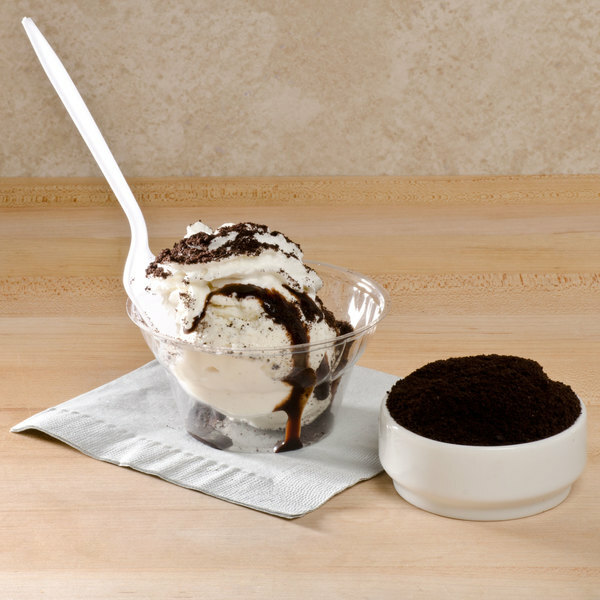 This Dutch Treat chocolate sundae dirt is a nice addition to our topping bar in our ice cream shoppe. Has a great shelf life which is good considering the big sized box. Great price. Just Perfect! Arrived well packed. The color is dark and vibrant and gives a great flavor to icecream and all sweet treats. Highly recommended using this company for all your needs. A wonderful topping for ice cream or frozen yogurt that everyone will enjoy. The dirt powder ice cream topping is great for making dirt pudding cups at Halloween. THIS TOPPING HAS BEEN A GREAT HIT FOR OUR ICE CREAM SECTION AMONG OUR YOUNG CUSTOMERS. WE WILL CONTINUE TO OFFER THIS TOPPING AND HIGHLY RECOMMEND IT TO OTHERS. A great crushed chocolate cookie toppings that is great for sundaes and pies. The crushed cookie dust is perfect for making themed cakes and dessert. We love to sprinkle some over the whip cream in our oreo milkshake. This is like chocolate powder. It tastes really good and not only that it tastes good it looks amazing on ice cream sundaes. Especially on cool whip. This goes a long way, and so much easier to buy like this then using a good processor. We use this for cupcakes, frostings and No bake cheesecake crusts! This is great to have on hand! This tastes amazing. I store it in the bulk 5 pound containers and keep in the freezer for storage. I use this as a topping on cupcakes, chocolate caramel covered apples, you name it. These are great as is but also to help create other treats. The dirt look but good taste is perfect for flower pot treats and also can be used to make a cookie crumb crust for those bars and pies. The kids (and kids at heart) love this dirt topping on our Worms N Dirt Sundae. Great product at a great price. Will be ordering again. Love to use this sundae "Dirt" to top cupcakes. I also use it when baking flowerpot cupcakes and cheesecakes. Product is finely ground and there are no chunks which makes ideal to use in the buttercream. So happy I found these on the webstaurant store website. We use this "dirt" powder to make cookie crusts for pies. So much easier than having to process our own cookies. Great value. Kids love this "dirt". It's a big hit on frozen yogurt. We put it in a container with gummy worms so it looks like worms in dirt. Kids love the idea and add more and more to their cup. I use this "Dirt" instead of crushed cookies in my donut shop. The price can not be beat. The taste is very good and I would recommend this product. This "dirt" chocolate cookie powder is great for ice cream with worms and "dirt" topping. We also use it to make ice cream pie crusts. We bought a big bag of this to make worm and dirt sundaes which all the kids love. It came fresh and tasty just like everything we order here. We bought this for the first time and put in our frozen yogurt shop and the customers love it. We went thru one case in 6 days. Great taste and quality. This chocolate sundae dirt powder ice cream topping makes a wonderful chocolate crust for cheesecake. It's also very useful to make a crunchy chocolate filling for ice cream cake. This is great for making "worms and dirt" for kids! They always enjoy it!! 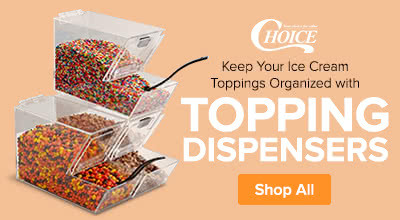 Great topping to have for an ice cream sundae station on a buffet!!! 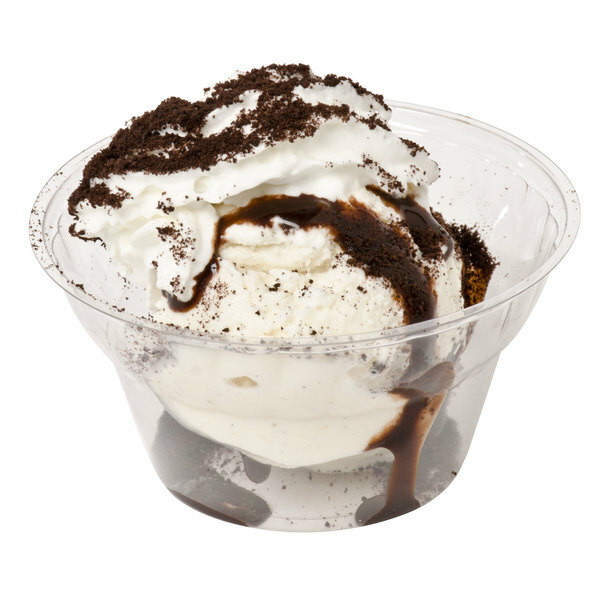 We make a "Dirt Sundae" for kids at our ice cream store! Just add some gummy worms and it looks like you are eating some dirt and worms! Kids love it!